‘I know it’s early but here is just a glimpse into a Word God gave me today for the Month of MARCH! “A DIVINE DEMARCATION IN THE NATIONS OF THE EARTH SHALL EMERGE IN A GREATER WAY STARTING IN THE MONTH OF MARCH”! It is rare for anointed prophetical voices to refer to exact timing but there are occasions when this is done, and of course it puts them on the spot because such prophecies can be easily checked for accuracy. Veronica West is connected to and accountable to Revd Dr Sharon Stone, whom I witnessed give a forecast in Oct 2013 of a ‘battle’ for Britain in two to two and a half years’ (ie 2016). This was fulfilled in the EU Referendum campaigns and subsequent bitter recriminations plus court and parliamentary battles. Furthemore, Revd John Kilpatrick taught in 2014 about “prophesying into time” and Patsy Southway gave an accurate word about last May and its ‘domino effect’ (as here). When I read this message by Veronica West, it really bore witness with my spirit. The first thing I thought of was God’s judgment on the wicked: people of the world who reject Christ and also false Christians. Last night, after I read some scripture (Psalms and Isaiah), the Presence of God became very strong. I slept a very light sleep last night because the Holy Ghost was really burning me up. I got up this morning and I wasn’t tired at all (how can you be tired or sleepy when you are in the Presence of God?). A little while later, I saw the number 11 twice. I then got dressed and drove to my friends’ place and the Lord showed me the number 11 twice again. Double doubles of 11. I looked up what the number 11 means in the Bible: disorder, chaos and judgment. Praise the Lord! Perfect timing. Since there are only two more days left in February, I assume that this Number 11 revelation is for the month of March or else it (the exposure and judgment of the wicked) will begin in the month of March. “IN THIS HOUR I SEE A FIERCE BATTLE, A TUG OF WAR THAT RAGES OVER THE DESTINY AND BIRTHRIGHT OF BRITAIN, BUT FEAR NOT FOR YOUR WORDS AND PRAYERS HAVE BEEN HEARD AND HE HAS COME”! This morning in my time of soaking in His presence, suddenly I was shown a fierce battle that is raging over the Birthright of Britain in this very hour. I saw in the Spirit Mighty Warring Warrior Angels in what looked like a fierce battle and tug of war over the future Destiny and Sovereignty of the United Kingdom. Now, after hearing the Spirit speak, suddenly I could clearly hear the sound and the intensity of the words and prayers of the Sons and Daughters of God that have been crying out for the plans and the purposes of God to be made manifest in this hour and season over the Nation of Britain and the United Kingdom. As I pressed in deeper into what I was hearing and seeing in the realms of the Spirit, suddenly I was shown the ‘Guardian Angel of the United Kingdom’ standing over the land. This Mighty Guardian Angel stood hundreds of feet tall and with eyes of blazing fire he stood with a raised sword and shield which completely overshadowed the whole Nation of Britain. Immediately the Holy Spirit likened this incredible Angel to me as the Archangel Michael who was the Guardian Angel and fierce Protector over the Nation of Israel, who had warred against and defeated the powerful territorial spirits that ruled over the Nations of Greece and Persia. Friends, Here we see the mighty Angel of the Lord going back to fight against the demon prince of Persia to DEFEAT HIM. As we read on we see yet again another enemy spirit, the powerful demon prince of Greece, these were the territorial spirits that had rule and dominion over the Nations of Persia and Greece! These were the demonic spirits that held sway over these Nations and they needed to be dealt with by the Warrior Angels of God in order that the plans and purposes of God could be established in the land in that day. Prophetically this morning I was shown this same battle that this raging in this very hour over the Birthright and Destiny of BRITAIN, BUT I HEAR THE SPIRIT SAY, “FEAR NOT, FOR FROM THE FIRST DAY THAT YOU SET YOUR MIND TO UNDERSTAND AND YOU HUMBLED YOURSELF BEFORE YOUR GOD, YOURS WORDS AND PRAYERS HAVE BEEN HEARD, AND I HAVE COME”! In this hour the Holy Spirit is charging us as Sons and Daughters to WAR IN A NEW WAY FOR A NEW DAY IS DAWNING, there is a spiritual battle that rages over this Nation with powerful territorial spirits, demons, principalities, powers, world rulers of this present darkness, spiritual hosts of wickedness in the heavenly places, we MUST STAND OUR GROUND AND REFUSE TO BE DISTRACTED OR DISCOURAGED OR DERAILED WE MUST STAY THE COURSE AND REMAIN STEADFAST AND VIGILANT, WE MUST DECREE AND AGREE THAT THE BATTLE FOR BRITAIN IS THE LORDS, AS A NATION WE HAVE THE VICTORY TO THE GLORY OF GOD. Happy Independence Day, Great Britain! The Hebrew word mar’âh is used in this passage, and transliterated into English as ‘a vision’. It means ‘a mode of revelation; in the sense of a mirror’. Mar’âh can refer to anything, either literal or figurative, that is seen or perceived, which reveals and reflects back a message from, and/or a characteristic or attribute of, God. ‘Vision’, in English, means ‘the act or power of seeing with the eyes’. The term ‘a vision’, however, relates only to that which was seen, not the action itself. A vision is an experience of the mind that naturally begins with sight — for whether the vision’s image or scene is transmitted via the eyes, or is simply registered directly in the mind — of necessity something must first be seen. In that context, consider the phrase frequently uttered by the prophets of the Old Testament: ‘and the word of the Lord came to me’. It would be consistent with God’s statement in Numbers 12:6 to assume that the ‘word of the Lord’ often came in the form of pictorial representations (visions and dreams) of the message God wanted to convey. Pictures are the simplest form of communication, and they precede words: because when learning a language, we are first shown pictures of objects, then we are given the word(s) that is/are associated with them. Pictures and words both express meaning, but pictures are superior in that they can be understood universally, while words are language specific. And to a certain degree, a prophet receiving a vision in this manner can be made analogous to a person watching a video presentation; so the value of this method of communication is readily apparent. However, there are also instances of God sending an angel as a messenger to speak for him; and Hebrews 1:1 informs that God disclosed his thoughts to the prophets in many ways, at different times. So, with all of the various ways that God can communicate, why are there seemingly no prophets among the Lord’s followers today? Does Christianity have no need for prophecy anymore? This can by no means be the case, for Romans 12:6 states, “We have different gifts, according to the grace given us. If a man’s gift is prophesying, let him use it in proportion to his faith.” Furthermore, we are told, “And in the church God has appointed first of all apostles, second prophets, third teachers, then workers of miracles, also those having gifts of healing, those able to help others, those with gifts of administration, and those speaking in different kinds of tongues.” (1 Cor. 12:28) Paul ranks prophecy as the second highest function within the body of Christ!! He also says we ought to earnestly desire spiritual gifts, especially the gift of prophecy, and that he wishes everyone in the church prophesied. (1 Cor 14:1&5) Should anyone reasonably assume then that a need for so important a role no longer exists?! God is the same yesterday, today, and tomorrow, so if the manifestation of prophesy is nearly extinct today, it is a reflection of our own failure and inadequacy — but that is a different subject that cannot be explored here, so I will simply draw attention to the implication of the words “earnestly desire” and move on. At this point, it would be remiss to not return to and conclude the rest of the thought from Hebrews 1:1. Picking back up in verse 2, “…but in these last days he has spoken to us by his Son, whom he appointed heir of all things, and through whom he made the universe.” This indicates that the means by which the Father communicates with man has changed. Prior to the Lord’s first advent, communication from God came in diverse forms. When Jesus was on the earth, God was then speaking directly through his Son, who was the preexistent Word. Now that he has been resurrected, God speaks via the gift of the Holy Spirit, in combination with the revealed word of Scripture. This change in the manner by which God communicates does not bring the need for prophecy to an end in the present day, it merely changes how prophecy is conveyed. Based of the meaning of mar’âh, a prophet of the Old Testament would reflect back to the people what God had revealed by the vision. The vision itself was always sharply impressed upon the prophet’s mind, even when its meaning was obscure. It was rendered in such a way that it appeared to their mind with the same clarity and distinctness as that which is visible to the eye, so that they could speak with certainty and conviction. In a sense, the vision acted as a light to the prophet’s mind, revealing the things of God that would have been otherwise imperceptible; since vision is impossible in the absence of light. The prophet then functioned as a mirror, reflecting the light of that vision back to the people. Before the promised Messiah was revealed, visions and dreams served in his stead, but today the Lord is the Light of the world, by whom we are made to see. The Father’s disclosure of his plan for the salvation of man through his Son was completed with the Book of Revelation. It would seem that all He intends to reveal regarding the end of days has already been spoken. It would appear that visions and dreams have had their end — perhaps not on an isolated, individual basis — but at least as far they concern any messages intended to be delivered on a national or worldwide scale. Yet although there are no new revelations regarding salvation, in the general sense of those conveyed by visions, it is still true that not all of the revelations from Scripture have been made clear: and this is why the gift of prophecy is still essential today. Prophecy is not only predictive, it is also interpretive. This can be shown by the statement found in Dan. 9:1-2, which says: “In the first year of Darius son of Xerxes… I, Daniel, understood from the Scriptures, according to the word of the LORD given to Jeremiah the prophet, that the desolation of Jerusalem would last seventy years.” The prophecy he refers to is from Jer. 29:1-24. Its message was for the all of the exiles who lived in that time, and it retained its relevance to its intended audience up until the command to return to Jerusalem was given. But a prophecy, whether it be given for guidance and instruction, or to serve as a warning, is without value unless it is understood — just like the gift of tongues is only useful when it is interpreted. Therefore, Daniel, a prophet himself, was given understanding by God so that he could act in accordance to the dictates of a prophecy that had been given previously to another of God’s servants. As a prophet, he was also given the power to interpret: as when he translated the king’s dark dreams. Likewise, he received visions himself, that spoke of events far into the future — and angelic beings supplied the explanations in an obscure manner — not for his own benefit, but for the sake of those who would live during the age when the visions would attain their relevance and fulfillment. That which was veiled would only be made plain at the appropriate time. Since the events to which some prophecies allude have not yet occurred, and since all of their meanings have not been fully understood, it stands to reason that the interpretive component of prophecy still has relevance today. The interpretive aspect of prophecy is essentially a process of converting something hidden — a meaning that is unseen and incomprehensible –into something that is now clear and readily understood. This idea evokes a further discussion of sight, because understanding how light converts the invisible into the visible can aid in comprehending how the phenomenon of understanding a vision is made possible. The eye sees, the mind reasons, and the heart understands, as stated in Isaiah 6:10 and elsewhere. Sight is the action whereby the eyes take in whatever is reflected back and revealed by light. The information the eyes receive is processed in the mind, and the brain then attempts to define what was seen, provide context from past experience, and attach meaning to it. The mind then relays its analysis to the heart, submitting its conclusions for judgement. The heart then renders its verdict as to whether the mind has determined accurately, or falsely — and the communication continues until the two are of one accord. This process is common to all, both the believer and the unbeliever alike, but it is important to note that definitude of the heart’s judgment can only be had when it is given in the presence of the holy spirit, since God alone sees all things as they truly are — and it is only by His spirit that man can know the mind of God, and see as He sees. The Lord Jesus, the Christ, is both the Word, who spoke in days past to the prophets in the light of visions and dreams, and the present Light of the world, who reveals the hidden things contained in the word of scripture. He is the one who sends forth the Holy Spirit, which teaches righteous judgment to the hearts of all those into whom it is sent; and it is by this same spirit that the prophecies of old were uttered. It should not be imagined that the passage of time has rendered the Lord’s spirit mute. The ability to see in a physical capacity is a gift given by God, which he provides to all but a few. The ability to see in the spiritual sense — that which can be called insight, discernment, or wisdom — is also a gift of God, but its dispensation is far more rare. Its treasures are only discovered by those who eagerly desire and earnestly seek them. Those who truly ‘seek first the Kingdom and its righteousness’ will have such things added to them, and more. The prophet of the Old Testament would receive the Lord’s message or instruction in a vision or dream — they could clearly see it in their minds. One could say they received the spiritual word by physical sight. This is fitting because the Word of God had not yet been sent, and God’s word (Scripture) had not been completed. A prophet of the modern era is the beneficiary of revelation his predecessors did not have access to. Therefore, they receive insight by the Light of the Word (as Christ dwells in them): by contrast, a case of spiritual sight coming through the physical word of Scripture. The prophets of old had faith in what they saw — they believed the vision — and thereby communicated new revelations to the people. Today, the prophet must believe the word — and have faith in the unseen things of God — depending upon the Lord to provide insight into prophesies which are still not fully understood, though they were spoken of long ago. The need for spiritual insight is more urgent today then ever. Remember that the testimony of Jesus is the spirit of prophecy. (Rev. 19:10) May God inspire the hearts of all those who love Him to set aside their concerns for the things of this life, and may He fill more of His children with an earnest desire to be granted the greatest spiritual gifts — which He makes readily available to those who seek. This remarkable word and image received in separate locations on the same day comes with a personal confirmation and the recipients’ permission. The aural part was received on Friday 29 April by Revd Ray Scorey at a conference in Halifax, Yorkshire. Meanwhile, 180 miles away south in Norwich, Norfolk, his wife Ruth received a visual impression from the Lord! Ray asked the Lord why He’s using the first person plural and possessive pronouns (as at * below). Ray felt it was God making His position of intimacy with us as Christians very intentional; that is,as in Song of Songs “I am His and He is mine”. That’s the basic picture and others we know bear testimony to the hidden danger of this friendship. I see a side-on view of a figure facing left and looking passive, sitting in a wheelchair with golden wheels. I feel that I should know who the figure is, because the figure I see is familiar with a sense of the iconic. I have to think hard about who this person could be. Finally the penny drops and I am shocked to realise that it is Britannia sitting disabled in a wheelchair with golden wheels. Britannia enriched but crippled. No shield, no trident, no Union Jack in sight. My sense is that if she will only stand up on her own two feet (and she does this in plain white robes), while she may no longer have the golden wheels, she will no longer be shackled and The Lord will be her shield; indeed He will armour her up in the way only God can. Revd. Ray and Ruth Scorey run Norfolk School of Prophets in East Anglia. Upon receipt of this message from Prophetic Releasers for UK Revival I was struck with its authenticity and ran off a hardcopy but didn’t read until just before retiring for the night. In the morning I read it aloud to Nina during our morning ‘cuppa’. As soon as I started to read Ruth’s remarks about a figure Nina knew immediately she was referring to Britannia – ie. before I read of Ruth’s searching for its identity! The reference to shackles around ankles reminds me of the detailed vision Wendy Alec had in July 2005: “…And I saw thousands upon thousands of people bowing in obedience to this tree and the roots were tightly twisted around their ankles…” (overview at #5). Does a Spiritual Yet Political Trend link USA to Britain? I hope Britain leaves the EU. I hope the United States releases itself from certain unGodly alliances. 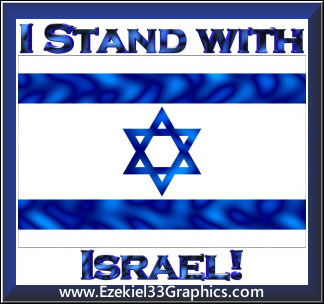 If there needs to be an alliance, it should be Great Britain, the United States and Israel: a great Judaeo-Christian alliance that will lead the rest of the world into true freedom. Technically, Great Britain is European, but really, it isn’t. It is not Continental. Even before the rise of Protestantism, the churches in Britain would not tow the Roman See’s line. John Wycliffe translated the Bible into English so that people could be set free from the traditions of men (man-made religion). The world owes England a debt of gratitude. Great Britain/England is supposed to be a global leader—not a slave of the Satanic European Union. Ezekiel 1:1: Now it came to pass in the thirtieth year, in the fourth month, in the fifth day of the month, as I was among the captives by the river of Chebar, that the heavens were opened, and I saw visions of God. There are seven types of visions of God that we can experience: mind picture; Dream vision; waking dream vision; trance vision; spiritual vision; transportation vision, open vision. A vision generally defined is a divine communication. In the words of Joel quoted by Peter: In the last days the Lord will pour out his Spirit upon all flesh and the result will be speaking revelation (prophecy), seeing revelation (vision), dreaming revelation (dreams) (Acts 2:14-21). By the Spirit of God visions are multiplied, the communication between heaven and earth is enhanced. Vision is what is seen/observed in a spiritual sense. Vision is a spiritual thing. This is different from what is referred to as “vision” for a corporation or a person, which is self-generated based on knowledge wisdom and understanding as possessed by the individual, family, organisation or business. The word vision, as used in the focus verse is about creating a link between our spirit and our mind for a period of time. Vision is not self-constructed or initiated; it is directed by the Holy Spirit. It is a reflection of the outpouring of the Holy Spirit. To be able to see the visions of God we need to clean up our inner eye, the eye of our imagination. We need to increase our meditation on the word of God, prayer and fasting. Praying in the Holy Spirit which is praying with our spirit (speaking in tongues) serves to sharpen us; because it is through that that we build up ourselves spiritually to be ready to experience spiritual vision. Vision can come in the form of direct message (clear instruction [Matthew 2:13]), figurative message (full of symbols [Acts 16:9]), and word of knowledge (knowing facts in the past [John 1:47-48]), word of wisdom (knowing the future [A lot of the book of revelation]), and encouragement (Matthew 1:20). In whatever form it is, we need God to tell us the meaning of the revelation. It is erroneous to jump to conclusions when it comes to visions. An example is the spiritual vision that Jeremiah had (Jeremiah 1:11-16). (In a spiritual vision we are fully aware of our physical surrounding, but we are also enabled to see something spiritual as well, as the spiritual realm [in 3Dimensions/video] is opened to us). In that vision, he saw an almond fruit, and the meaning God gave was: I watch over my word to perform it. Any other interpretation would have been false. You need God to give you the interpretation to that vision. Joseph who was a dream interpreter (a dream happens during sleep; waking dream happens at the point of coming from sleep to wakefulness, to enhance retentiveness), interpreted three dreams that were recorded in the bible. At each point, he says the source of right dream interpretation is God. Also Daniel, who interpreted a number of visions and dreams for kings while he was in exile, always acknowledges God as the true interpreter, since the dream/revelation came from him in the first instance. The first one he would interpret is the dream of King Nebuchadnezzar. God revealed both the original dream that the king refused to share and the interpretation to Daniel. And that came as a result of corporate prayers (Daniel 2:16-30). Daniel himself had revelations, for which that he prayed with fasting for the interpretation to come from God. He did not try to be smart, deciding to use his experience (Daniel 10:11-14). He fasted and prayed for interpretation. And in that story we know that if the devil cannot prevent us from having the visions of God, he wants to prevent us from having the correct interpretation. The only valid interpretation is the one God gives you not what you come up with by conjecture and hearsay. It is a mind picture when you see a still picture that you are see within yourself (it is so close to the imagination, that if you are not careful you will miss it); when you are seeing it in form of internal pictures while awake but also fully aware of your surroundings. In a spiritual vision (video), you are aware of spiritual occurrence/events within you at the same time you are aware of physical events around you. The vision that Elisha and his servant had of angels in chariots and horses of fire fall to the category of spiritual vision. They were still aware of their surrounding when they saw what they saw in video (moving pictures) (2Kings 6:12-18). Seeing that vision made a difference in the perspective of the servant; before he was afraid that a foreign army was going to destroy them, now he was fearless; He was sure that greater are they who are with them than any army of the enemy. Paul spoke of having a revelation when he was taken up to heaven (2Corinthians 12:3-4); he said that he does not know if that was in the body or outside the body, where he heard things which were not lawful for him to declare. If it were in the body, that means it was transportation vision, where time is temporarily suspended for you and you are taken to another place, in split seconds, in the time of the earth but maybe hours in the timeless zone of the heavenlies that you are taken to. But if it is outside the body, in which your senses, awareness of your environment is suspended and you are seeing things. 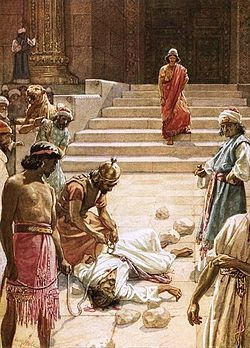 It happened to Peter, while staying in the house of Simon the tanner (Acts 10). God used that to prepare, Peter to go and minister to gentiles; what he would never had done on his own accord. In the trance (a trance also have audio, a spiritual vision is only video), God showed Peter a platform descending from heaven full of ceremonially unclean animals according to the Old Testament. He was told to arise and eat them, to which he said he can’t eat what is unclean. And God told him: what I have cleansed, don’t call unclean. After that the Holy Spirit told him that certain people are coming to fetch him, and he was to follow them compulsorily. So through a trance vision and an instruction from the Holy Spirit, Peter was led to where he does not want to go. He was brought to a new understanding of God and his plans based on that vision. That vision helped him to take the right action along the path of the will of God. There is also the open vision which has to do with the opening of the eyes to see and interact with the spiritual world as if, it is natural world. What Moses saw in the wilderness in the burning bush was an open vision (Exodus 3:1-5); also interactions with angels (in this natural realm) are open visions. Philips was told by an angel to go in a specific direction to meet an Ethiopian enough to preach Christ to him (Acts 8:26). When Paul said that an angel of his God was beside him giving him God’s word, it was an open vision. The revelation of John was transportation vision. He was taken to another realm to experience things and write the book of revelation. It started with an open vision, seeing Jesus on the island of Patmos, and it ended with a transportation vision- he was taken to the heavenly realm of God. So in increasing intensity, we have dream (possibility of forgetting is high and it may just be as a result of multitudes of activities during the day, but it can also be a message from God), waking dream (you have it in between waking and sleeping [greater retention]), inner picture (still photo), spiritual vision (video inside yourself), trance (video and audio, senses suspended), open vision (video and audio, interacting with the spiritual world as if it is natural, senses intact), transportation vision (there is video, audio, senses fully aware in the outer spaces/the timeless realm).